The second single from 1997’s “Bridges To Babylon” peaked at No. 94 on the US Billboard Hot 100 while the album hit No. 3 on the Billboard 200 on its way to sales of more than a million copies in the country. The latest release from the band’s Vault series captures the Stones in concert during the final two shows of an American trek in support of their 1998 live set, “No Security”, which was recorded over the course of the group's 1997–1998 worldwide Bridges To Babylon Tour. The No Security tour saw the band play more than 40 dates in North America and Europe, and included multiple nights in San Jose, Anaheim, Boston, Washington, Hartford and Philadelphia. “From The Vault: No Security - San Jose 1999” will be available on DVD, Blu-ray, DVD + 2CD, 3LP and digital. The Rolling Stones opened their No Filter European tour at Croke Park in Dublin, Ireland on May 17. 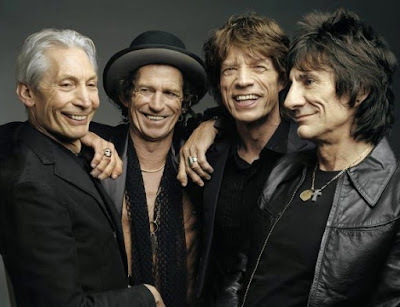 The 14-show series marks The Stones’ first appearances in the UK in five years; stops in Germany, France and the Czech Republic will precede the trek’s finale in Warsaw, Poland on July 8. 03. "You Got Me Rocking"
06. "I Got The Blues"
17. "It's Only Rock 'n' Roll (But I Like It)"